What is the role of women in the Mormon church? Sometimes I think people picture the typical Mormon woman looking like a 50's housewife. You know, apron on, hair done, lipstick perfectly applied, pulling out a perfect cherry pie from the oven, with not even a shine on her forehead. Well guess what---I've never gotten the top crust just right and I don't wear lipstick. 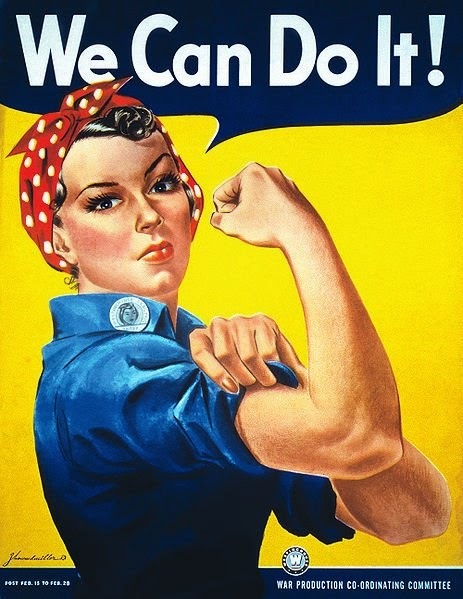 When friends of mine have realized that some of the roles and responsibilities men and women play in the church are different, the feminist movement kicks in full gear and they feel they need to reassure me that just like Rosie the Riveter; "I can do it!" They're ready to take up posters and pickets for life, liberty, and the pursuit of Mormon equality. 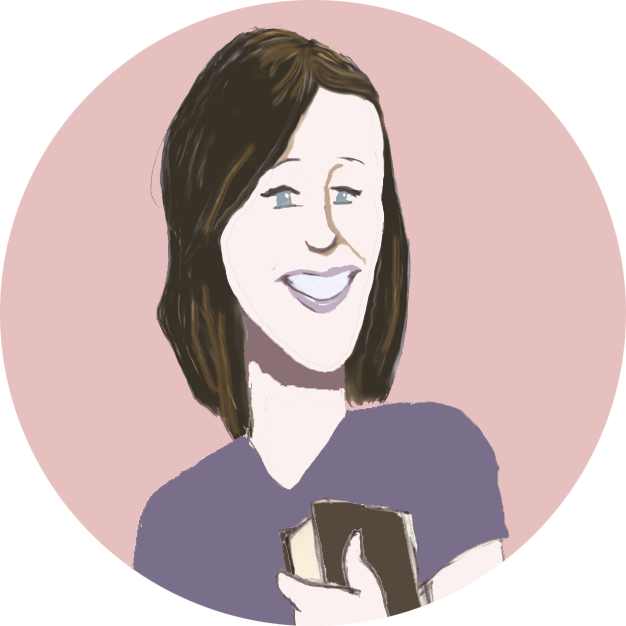 Its then that I have to quickly explain that we are equal, in fact, instead of feeling depreciated and under-valued, I feel like I'm given plenty of opportunities to serve--trust me, just as many as any man in the church. I recognize the need for equality and I love my rights just as much as the next person, but I've also found that just as important as being equals is being equally appreciated. The church allows us to serve equally but in different capacities; playing to our strengths and perfecting our weaknesses. So this post is not meant to be an "anything you can do I can do better" montage, the way I understand it is this: When each person; male or female, is baptized they agree to "mourn with those that mourn" and "comfort those who stand in need of comfort" the expectations are the same no matter what your chromosomes are. I watched my parents for years carry out very different assignments in the church. From an outsider's perspective it would appear that my dad worked with scouts and my mom worked with young women ages 12-18. But what people probably wouldn't see was how my parents helped and supported each other, ensuring that all persons involved were loved, attended to and cared for. You might feel we are limited by the system of delegation in place, but in reality, we don't segregate; we divide...and we conquer. 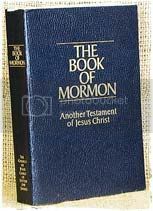 So throw away your idea of the 50's housewife along with your pickets and posters and take a look at Real Life Mormon Women. 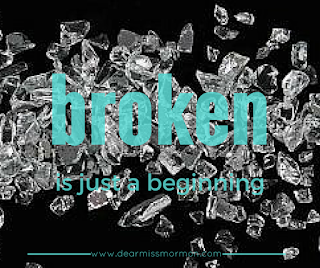 Posted by Miss Mormon at 6:01 PM Labels: Mormon women, priesthood, what is the role of women in the Mormon church? Thank you for this post! It is how I feel exactly. I love that you explained "The church allows us to serve equally but in different capacities" I have had so many arguments (I know I shouldn't argue) with friends of mine outside the church. You are Awesome. Keep blogging!